love the new bases very nice poses thank you guys ! My son said it needed a snow man I spent to long on getting him looking right , the house took to long ..... tiny pixels are allot of work ! 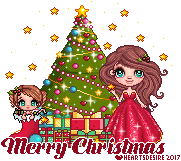 Trying to get my DA page all festive I made a tiny little av to use , its my mini Christmas stocking ! I was going to animate it but I just felt it took away from the little doll. 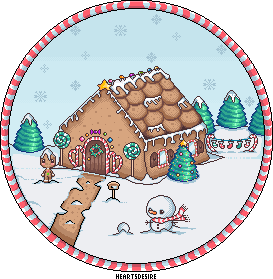 Well tis the season for all things Christmas and to start off my festive pixels for 2017 I bring you my own Gingerbread scene. I wanted it to look like one those vintage style cards. I do hope you like it ! Topic: Holy cats! It's Chaplin! Re: Holy cats! It's Chaplin! yes I have that feeling I will be , maybe LOTR as well LOL ooooh to many idea's now ! Topic: Need a invention that draws whats in your mind ! Need a invention that draws whats in your mind ! ok well here is Tyrion had to make him a little shorter LOL prob not short enough but great collab thank you was fun ! when i get addicted to somthing i just keep at it , i got a lil obsessed atm doing my dolls so yes things are going fast !